Our Executive coaches achieve results for people and organisations. We offer one to one coaching that uncovers blocks, reduces stress, keeps people moving forward, faster and gets people to view their circumstances from a different perspective. Sustainable change is our aim and this takes time – we work with our coaching clients over a number of months to achieve this. 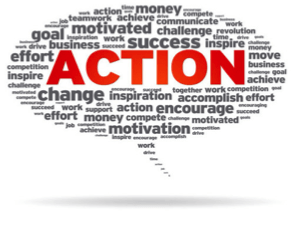 Our clients tell us that they see the results – very often in terms of the persons realisation of their personal impact on the performance of the area they manage and the changes they make in themselves to be more successful. 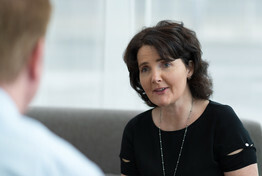 For Senior Executives we hear that they value the opportunity to have open conversations about issues critical to them and their job role with a coach who does not judge or influence and can remain impartial, unlike anyone else in the organisation, but who holds them accountable to themselves for the actions they identified to move them toward their objectives. We use tried and tested methodologies to achieve tangible results. We offer 1:1 coaching that uncovers your blocks, reduces stress and keeps you moving forward, faster! IN A RECENT STUDY, LEARNING SOLUTIONS ALONE IMPROVED LEADERSHIP SKILLS BY 22%. WHEN COMBINED WITH EXECUTIVE COACHING, IMPROVEMENT JUMPED TO 77%. How does the coaching engagement progress? Below is an outline of the Invisio Coaching Framework outlining the process from the perspective of the organisation, the coachee and the Invisio coach. The framework can be varied to suit the needs of the organisation and coachee and this is discussed prior to engagement. In some cases meetings with the persons manager may not be necessary or appropriate but where they are they greatly increase the commitment of all parties to the process and to achieving tangible outcomes from the engagement. We use a range of tools to support the coaching engagement and these are agreed as appropriate at the start of the engagement. Talk to your coach today! Our client appointed a new executive to the position of General Manager. In a forward thinking move the CEO of the firm agreed with the new appointee, as part of the overall ‘package’, that he would be provided with a personal Business and Executive Coach to assist in his transition to this larger more influential role. The CEO in recognising the potential of the new recruit wished to maximise that potential in the business as soon as possible. We worked with the individual initially for a period of 6 months within an agreed structure of fortnightly meetings. The coaching process focused on the GM’s performance in areas such as adapting to new culture, making an effective impact, assessing and building key relationships, identifying and overcoming barriers to success and implementing strategy whilst tactically managing the business on a day-to-day basis. Objective setting and action planning was also key to the process. We know that our coaching is effective when we get to ‘see you again’ and in this instance the GM has personally elected to meet with his Invisio coach from time to time since the original 6 month process finished over 18 months ago. Mitsubishi UFJ Fund Services (“MFS”), previously Butterfield Fulcrum group, after a period of rapid expansion, partnered with Invisio to provide a comprehensive executive coaching and development programme for our Senior Management team, across all our global locations and they have been an unqualified success. From day one they took the time to understand the nuances of our business, and developed a clear vision of what the Executive Management of MFS wanted from a partner. Every employee of MFS who has participated in this process and interacted with Invisio has been extremely complementary of Louise McNamara and the rest of her team.We would have no hesitation in recommending Invisio to other companies and plan on continuing to avail of their expertise.